I specialise in producing funeral tribute DVDs for your family, and photographing funerals without intruding on your private grief, for families wanting to share a Service with distant friends and family who are unable to attend. Download my Funeral Photographer brochure. Why take photos at a funeral? At a time of grief, memories and details can be lost in the moment. You’ll think “I’ll never forget the day” but the reality is, you will, because the mind protects you. It’s hard to understand now, but there will come a day, (perhaps an anniversary) when you will want to look at the funeral, and the people and friends that were there and supported you in your time of grief and loss. If you never look at the DVD, that’s fine; but if you do want to see it, with all the detail of the flowers, listen to the passion of the Eulogy, or remember the hymns and special music and so on – when you are ready – it will be there for you. I will have been there, quietly archiving your life, to give you comfort and to share with your Loved Ones. I’ve got your back covered. “When people say to you “We’ll do it ourselves” you don’t know how difficult it is when you’re mourning yourself, to have your mind on recording the event, and ALSO how you get 101 dirty looks from people there who hate that you’ve brought a camera to a funeral! It is really clear how important it is to have an objective third party. My experience in recording such events in a sensitive and discreet manner, helps tell the story of your Loved One’s funeral. Record Wakes, Celebrations of Life. Viewings and Burials are sensitively filmed. DVD chapters created so you can easily find the particular scene or Speaker. Full cover DVD disc cover printed, 32gb USB stick supplied at extra cost, but easily viewed on latest digital televisions. Prices start at $600 – usually an hour’s filming, 15 minutes before and afterwards capturing the guests, family scenes and hugs – for me it’s all about the love. Family and guests are discreetly filmed for your memories. Families who are unsure at first, often ring the Funeral Director and exclaim how stunning the DVD is, and how grateful they are that I was there. My DVDs have been sent overseas to Germany, England, Ireland, Scotland, Poland, America, France, Vietnam, New Zealand, Fiji and Switzerland. If you would like to book my services please call me (Patty Beecham ) on 0417 88 7316. I am available in the Brisbane area at short notice. Family members who might have been originally against filming the funeral (too intrusive) are often the ones who re-order more copies of the DVD as they love it so much, and finally ‘get it’. It gives them comfort, it gives them a sense of completion; and if they cry whilst watching the DVD, that’s ok too, it’s all part of the grieving process. Please don’t ask a family member or friend to film for you, it’s quite unfair and places them under a lot of pressure, at a time when they should be there supporting YOU and dealing with their own grief. It’s YOUR job to grieve, it’s MY job to quietly preserve your precious memories. One more thing to remember; I meet many people who are very keen to have their parents funeral filmed, but a kindly or well-meaning person talks them out of it, or disagrees with filming the Service. Because they are undergoing enough stress as it is, and they don’t want to cause trouble or upset other members of the family, they then agree NOT to have the service filmed. It’s usually to their life-time regret. You can’t do it again, you can never look at it, you can never share it. It’s gone forever. I am aware that it is a sensitive subject, but I work for my client (you) and I can usually work around family members who do not wish to be filmed. I understand. I’ve been fortunate enough to film beautiful Maori funerals, as well as Vietnamese and other cultures. Please ask me how I can help preserve your precious memories. Download my Funeral Photographer brochure. 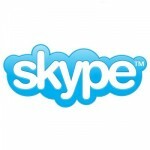 Now offering live Skype in stunning HD format. Combining video and photographs, a beautiful DVD of the Service is produced, and special tributes such as poems/Readings and family details can be added to the DVD with subtitles and captions. Although most Chapels now offer a DVD of the Service, my photography is far more personal, discreet and memorable. I use both video and still images to produce something that is powerful and beautiful. Eulogies and special Speakers are captured forever. Thank you so much for your patience and recording the service with such professionalism and kindness. 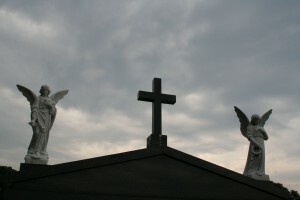 By photographing the actual funeral, a visual presentation is kept for you to view at a time that suits you. It’s one more thing you don’t have to worry about, as you can be assured of my presence and your precious memories are preserved for future generations. A short photographic version of the entire Service can also be uploaded to Youtube, to share with distant family and relatives. “Thank you so much for the beautiful job you did putting together my mum’s Farewell DVD. On behalf of the Pelloni Family, THANK YOU VERY MUCH for the lovely Tribute DVD produced for Franco Pelloni’s funeral. Patty Beecham Productions Funeral example from on Vimeo. You will have a unique visual presentation to celebrate and reflect on your Loved One’s life, to keep forever. Many families now celebrate at a Wake, and these special family memories can be kept on digital format. A photographic DVD can be sent to distant family and Loved Ones. Once the photographs are taken, you never have to view them, it’s your choice; but if I don’t capture the special day, you can never view them. I look forward to creating your unique DVD to reflect the essence of that special person or family event in your life. When my father passed away, he was a much-loved big fish in a little sea in Rockhampton (and also a former Queenslander of the Year 1987, and a O.A.M. Recipient) and I wanted his funeral videoed for our family. I also took my own film camera (of course!) and my husband dutifully shot the various speakers and family members as they paid their tributes and delivered the Readings. I rang the Morning Bulletin newspaper, asking if they intended to send in a photographer. I thought “This is really important” and so it was that I became a Funeral Photographer. I have buried many family members, a brother, father, my dear mother, uncles and aunties and so on, so I too have walked the walk, that you now tread. My heart has also ached with dull heaviness, and I do understand a little of how you feel. Mum’s and dad’s funeral DVDs are in my drawer and they give me great comfort knowing it’s always there for me. I hope my Funeral DVDs bring you much comfort as well.